At FLSI, we take the time to get to know your department or business. We know the questions to ask to learn what apparatus or equipment will serve you best. For complex, custom jobs, we stay in touch with both you and the manufacturer so that what we deliver in the end is what you were expecting. If we think it will help, we even visit the factory while your equipment is being built to make sure it meets your specifications. After the sale, we deliver the equipment and spend some time helping familiarize your crew with the features of the new equipment. Through it all, we constantly keep in mind that this equipment needs to work for you for years. Longevity means that mechanical service calls will be inevitable. We design equipment that will be easy to service later. For example, we insist on access panels near the mechanics of a pump truck. When the pump truck needs service, it’s going to be a little easier and a little less expensive. At FLSI, we believe selling you a piece of equipment is just the beginning of a relationship. We want to be your source for apparatus, service and equipment. Why FLSI? That is a very good question. 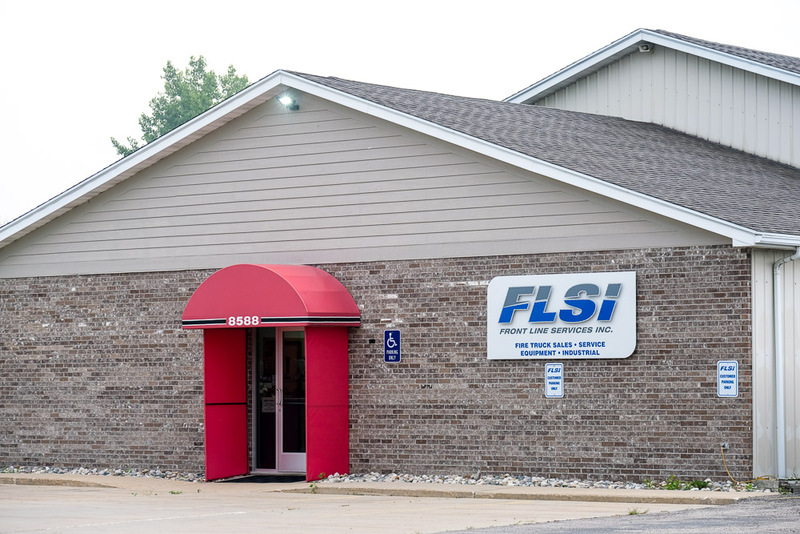 In order to get the best possible answer, we went to the people that will help in your time of need – the FLSI Staff! They know our culture and what we strive to do better than anyone else. You guys have a very respectful company and I haven’t been more happy to have changed to FLSI. We have had many repair companies in the past and I will be honest FLSI has by far been the best! I wanted to express my sincere gratitude for the awesome job Dale did on my pump repair job. Dale’s attention to detail is amazing! FLSI has maintained our emergency vehicles for years, giving us great service, timely response and most importantly confidence in our apparatus. I wanted to express my overwhelming satisfaction with our service on June 13, 2016. Mr. Dale Rottman phoned me and stated he was having vehicle issues but ensured me that he would arrive to complete the repairs requested on our Pierce engine. He arrived at 5pm and went straight to work. My shift was sitting down for dinner at 6pm and Dale was invited. He replied, “I need to finish first, thank you”. It wasn’t until after he completed the job, and after being asked again, did he accept a meal. After which he handed me the wore parts, said, “Thank you” and was off to his next appointment. He really impressed me and my entire shift with his work ethic and professionalism.